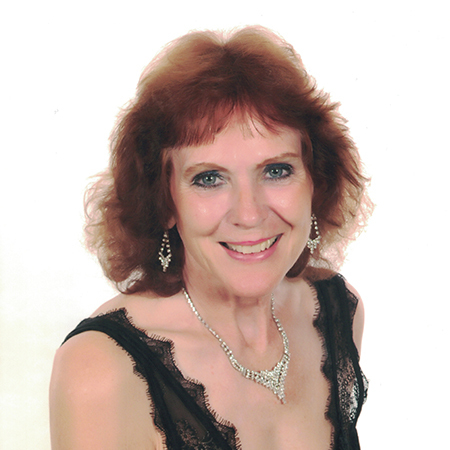 Anne-Elise Keefer has enjoyed a busy international career as a recitalist, concerto soloist, recording artist, orchestral musician, chamber musician and educator. She performed as a soloist to critical acclaim in England, France, Italy, Norway and former Yugoslavia; broadcast frequently on radio and TV in Europe, and played a private concert for King Olav V of Norway. Anne-Elise was a prizewinner in eight international competitions in Canada and abroad, including the Ancona International Flute Competition (Italy), the Concert Artists’ Guild Competition in New York City and the Canadian Music Competition. Ms. Keefer has released three internationally distributed solo CD’s entitled: “Far Other Worlds” and “The River of Golden Dreams” Volumes I and II, which have been re- released in South Korea and are available on “iTunes”. British Airways employed her recording for its commercials worldwide for several years. She has also recorded discs with Maureen Forrester, The Toronto Children’s Chorus, Vancouver New Music Society, the Canadian Music Centre and “Ancient Cultures”. She has played over 130 solo recitals and CBC Radio broadcasts across Canada, and has performed in Wigmore Hall and the Purcell Room in London, England. She has appeared at the Marlboro Festival in Vermont, and has performed concertos with a variety of international orchestras such as the Oslo Philharmonic, Trondheim Symphony and the National Arts Centre Orchestra. Anne-Elise has played with the Vancouver Opera Orchestra since 1986, and has played Principal Flute with the Abbotsford Symphony since 1995. As a freelance artist, she has performed frequently with the VSO, the Victoria Symphony, the Vancouver Island Symphony, CBC Radio Orchestra, Sinfonia, Orchestra London and Tafelmusik Baroque Orchestra (playing the baroque wooden flute). She has played eight major Broadway musicals, including “Miss Saigon” and “The Phantom of the Opera”; has played with ten ballet companies including the National Ballet of Canada, the Royal Winnipeg Ballet, and the Kiev Ballet; and has appeared in concert with such luminaries as Luciano Pavarotti, Ben Heppner, Diana Krall and Ray Charles. In January 2004, Ms. Keefer was invited to audition for the position of Principal Flute with the Boston Symphony Orchestra. Anne-Elise studied with Robert Aitken, Nicholas Fiore, and Louis Moyse at the University of Toronto. After graduating with a Master’s Degree in Music Performance and Literature, she received three Canada Council Arts Grants to pursue doctoral studies in Europe with Norwegian flutist, Ornulf Gulbransen. A six-year veteran of the National Youth Orchestra of Canada, she continued her studies by attending masterclasses with Marcel Moyse, James Galway, William Bennett, Geoffrey Gilbert and baroque flute specialist, Hans-Martin Linde. Anne-Elise taught for five years at Western University (Applied Music, Music Education and Music History). She has also taught flute at Boltelokka College in Oslo, University of Victoria, UBC and Douglas College. Anne-Elise was Head of the Suzuki Flute Program at the Vancouver Academy of Music from 1999-2011. Her summers have been spent teaching at Toronto Music Camp, National Music Camp, London Music Camp, National Music Camp, Laurentian University, Pacific Rim Festival, various Suzuki Flute camps and at CYMC in Courtenay, BC. Anne-Elise continues to enjoy sharing her love of music with flute students of all ages.